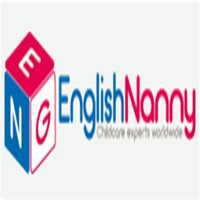 he family who resides in Kiev, Ukraine are looking for bilingual English/French Governor or Governess to work on a rota schedule for their 2 children - boy aged 8 & girl aged 9 yrs. The main priority is the development of languages to a high level. You will also be responsible for their daily care. The candidate should be - bilingual Engish/French . Qualified teacher status with at least 3 years experience of working within families. Childcare qualifications and previous references from families required. Current DBS. Available asap for long-term. The Governess/ Governor shall be entitled to receive 5 days paid sick leave per annum. Thereafter sick pay will be at the discretion of the family. The family will provide a worldwide travel and medical insurance policy for use in emergency, and the family will provide whatever assistance is realistically possible in emergency.